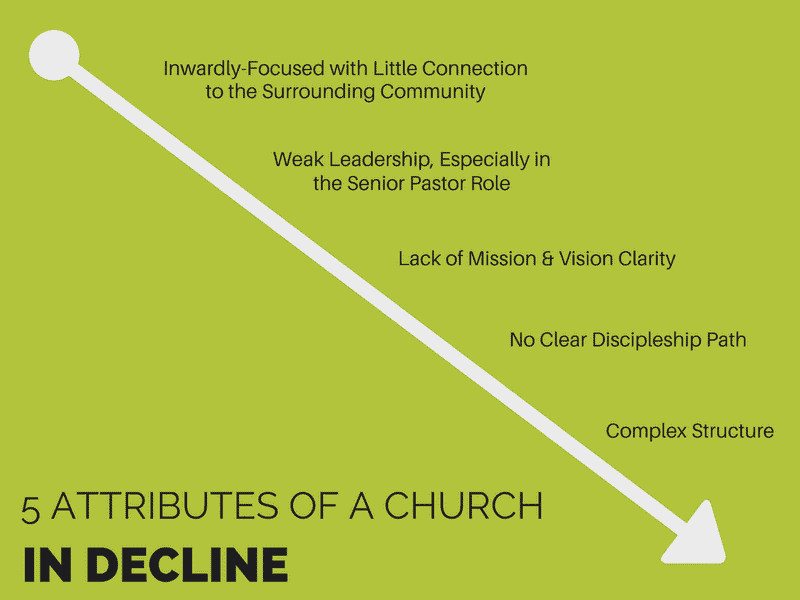 I once spoke with a denominational leader who had been personally involved in consulting with about 60 declining churches within his denomination. He shared five attributes that seemed to be present in the declining churches with whom he worked. Every church must have a healthy foundation if it is to succeed in the long run. When a church realizes it’s in serious decline, the tendency can be to focus on surface problems. But you don’t build the Kingdom on trendy song selections, social events and the staff of a Fortune 500 company. These five foundational aspects of a healthy ministry have to come before a focus on addressing specific environments, systems or tactics. We recommend solidifying these factors before decline is a concern: What worked yesterday won’t work tomorrow. Is your church healthy enough to withstand change and continue to grow stronger?